Comprehensive review of Mercy Hangover Prevention. See what real experts and actual users have to say about this hangover cure. Mercy Hangover Prevention is a caffeine-free vitamin and antioxidant drink. It tastes pretty good, but the only major downside is the gross after-taste. It’s super easy to use as a hangover prevention product; all you need to do is make it your last drink of the night. Unfortunately, if you forget and try to use it the next morning, it won’t have great results. 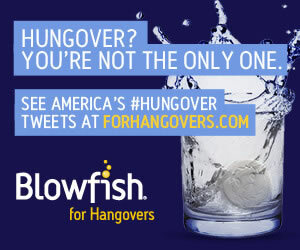 This stinks, because after a few drinks, I often forget about taking my hangover prevention before bed. After about 4 drinks and one can of Mercy before bed, I woke up feeling pretty good. I wasn’t too tired and didn’t have a headache at all. Overall, Mercy is a pretty good hangover cure; I just wish it tasted better. Mercy Hangover Prevention is very easy to use. You just need to make it your last drink of the night before bed. Unfortunately, it is designed to work if you take it before bed, not the next morning. Also, if you want it to work to the best of its ability, you need to drink one can for every 3-5 drinks. It comes in two flavors, citrus and blood orange. I tried the blood orange flavor and it’s not that bad. It reminds me of Emergen-C or Vitamin Water. It definitely has a strong taste, but it’s not horrible. Here is the important part. I drank Mercy Hangover Prevention after a family night out. I didn’t go crazy, but had about 3 or 4 drinks. Typically after that much alcohol I feel a little tired, weak, and have a slight headache the next morning. I drank Mercy before bed, and woke up feeling pretty good. I didn’t have a headache or tiredness. For the most part, I didn’t have much of a hangover at all. I am sure the vitamin drink works best when you don’t over work your liver, so if you have more than 5 drinks you will probably need more than 1 can of Mercy. Mercy contains many antioxidants and vitamins. B Vitamins are another major component to Mercy. It contains B1, B6, B9, and B12. Each plays a vital role in assisting hangover prevention. For example, Vitamin B12 is supposedly useful in detoxifying the liver and is believed to improve recovery time from drinking-related symptoms. Another important ingredient is Chamomile Extract. This extract supposedly helps calm the stomach from irritation, another major hangover symptom. Luckily, I didn’t experience any major side effects from drinking Mercy (just a gross after taste). It costs $24 for a package of 12 cans. That works out to $2 per serving. I couldn’t find any guarantee for this product. That’s definitely a bummer if you really dislike the product, but luckily it’s not too expensive.